The meeting management tool for Office 365. Agenda setting, meeting notes and task assignment. 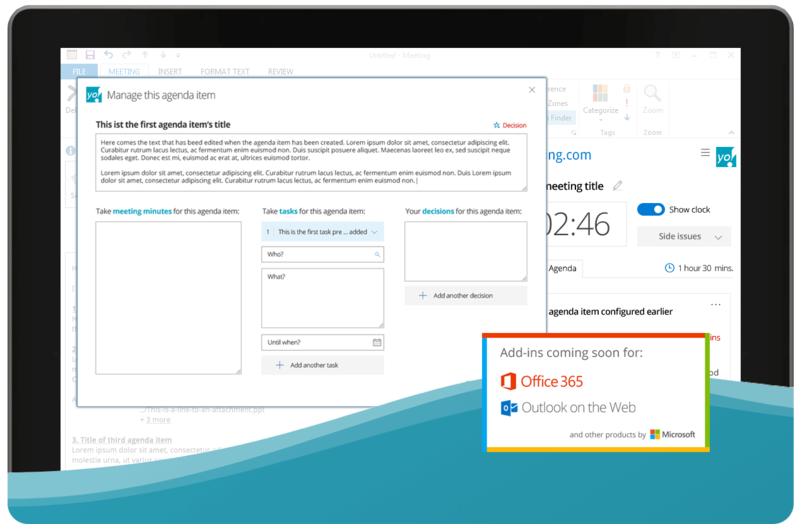 Manage everything in Outlook and create new work dynamics! ”With yoyomeeting, we turned the most annoying thing into the most valuable element in our everyday business! With this add-in everybody can be the perfect meeting host! 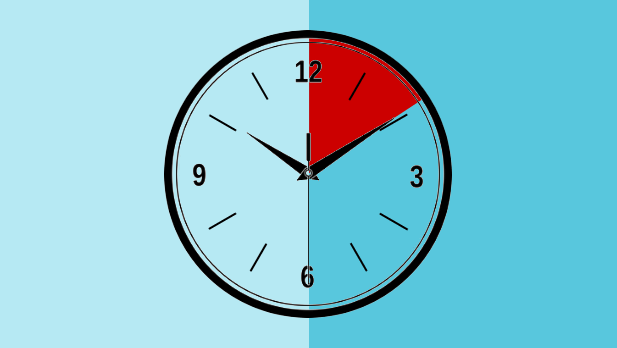 Performing great meetings affords a great deal of discipline – or a great tool! 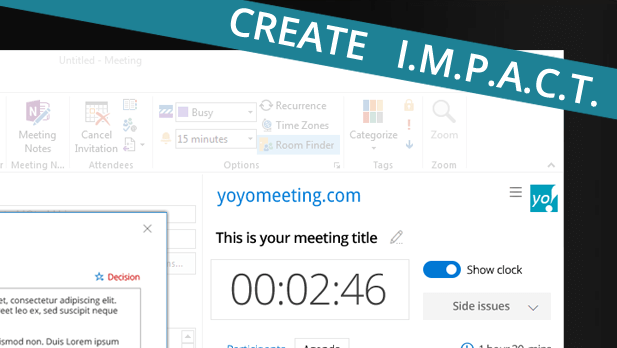 Since you won’t get the meeting discipline from your attendees, we suggest you go for the tool. 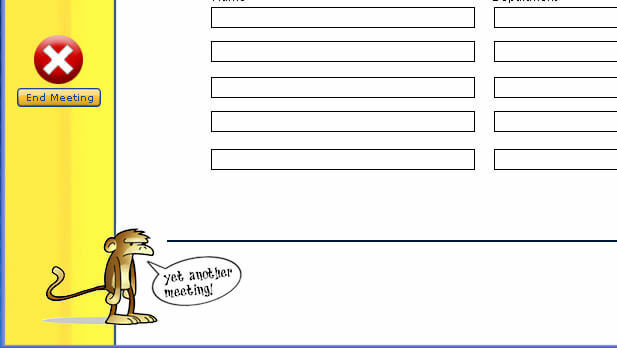 At least the meeting host needs a license to boost your meeting. But it works completely well when some participants do not have the add-in. You get more than a software tool. In our UX design process we incorporated behavioral science aspects to trigger a change of meeting habbits, routines and culture. All payments will be processed by Microsoft. You buy and download yoyomeeting from the Microsoft Store. Thus you have the maximum security for your payments. Hosted on Microsoft Azure, we have the maximum scalability and reliability for the add-in with a fast user experience, automated backups and maximum protection for your data. Our company is based in Germany and all our services are hosted on Microsoft servers in the European Union. All software and hosting applies to the EU Privacy Act. and read even more on how to perform great meetings.